Boats have been a part of life in America for hundreds of years, but never in numbers as large as today. Boats contribute to the quality of life and our recreational enjoyment, but ironically, they can also play a role in stressing the ecosystem. 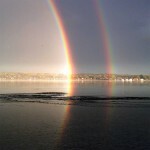 While the effect of a single boat on a body of water like Saratoga Lake may seem insignificant, multiply it by the hundreds of boats in use and such effects become both significant and apparent. As we realize the limits of use waterways can tolerate, and how close we are to those limits, it becomes essential for each of us to follow the best possible environmental practices in using our boats. Marine sanitation, bottom painting, surface cleaning, engine maintenance and general boat operating habits are all factors that can impact water quality, shoreline stability and marine life. In 1986 the New York State legislature authorized the formation of a local unit of government, known as the Saratoga Lake Protection and Improvement District (SLPID). 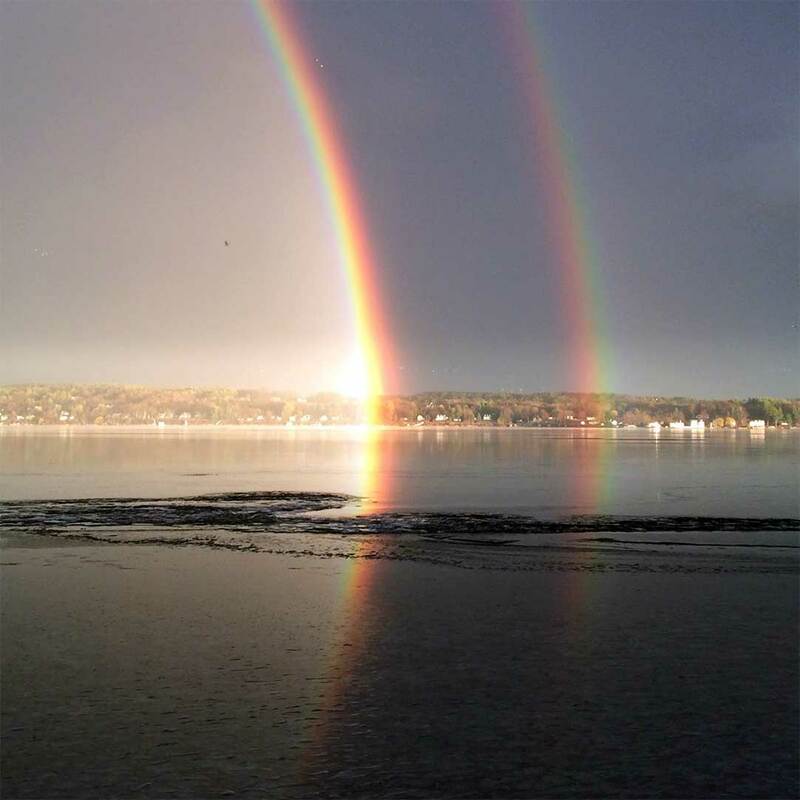 Its purpose: to supervise, manage and control the body of water known as Saratoga Lake by enhancing and preserving the Lake’s ecosystems and watershed through education and proven lake management techniques. SLPID activities are funded by an ad-veloram tax. Shoreline and nearshore residents of the District contribute in excess of $60,000 a year for weed harvesting, clean-up, maintenance, water quality testing, safety initiatives and education activities. Additionally, shoreline residents expend considerable efforts to clean beaches of debris. You can help safeguard the quality of this fragile environment and make Saratoga Lake a safer recreational area by adhering to the following guidelines. In addition, water safety is very important. That’s why we put together some tips below to help you stay safe. Learn CPR (Cardiopulmonary Resuscitation) for adults and children. Learn the basics of life-saving so that you can assist in an emergency. Seizure Disorder Safety. If you or a family member has a seizure disorder, provide one-on-one supervision around water. Lacerations – broken glass, sharp metal, clam shells, fishing hooks, sticks and other sharp objects are easily hidden beneath the sand and water of a lake. Most bleeding can be stopped by the exertion of direct pressure. If your tetanus shot is not up to date, you may need to go to a hospital to get one; request a doctor’s advice on the matter if you are unsure. The U.S. Coast Guard estimates alcohol to be a factor in nearly half of all accidents. Avoid drinking alcohol before or during swimming, boating or water skiing. Do not drink alcohol while supervising children. Teach teenagers about the danger of drinking alcohol while swimming, boating or water skiing. Drowning remains the principal cause of boating fatalities. Surprisingly, most drownings occur within 100 feet of shore and victims frequently had access to life jackets but weren’t wearing them! It’s important to know the weather conditions and forecasts before boating, canoeing, kayaking or swimming. Strong winds and thunderstorms with lightning strikes are dangerous. Stop swimming at the first indication of bad weather. Learn safety rules and warnings of the water, beaches, community. Establish rules for your family and enforce them. Teach kids that being safe in and around the water is a personal responsibility – yours and theirs. Even if you aren’t swimming, be cautious around natural bodies of water including ocean shoreline, rivers and lakes. Cold temperatures, currents and underwater hazards can make a fall into these bodies of water dangerous. Apply sunscreen on all exposed skin. Hats, visors and shirts can help prevent overexposure. Take a boating, canoe or kayak safety course. If you go boating, wear a life jacket. Most boating fatalities occur from drowning. Practice swimming in case your boat capsizes. Always stay with your boat. Make sure young children or inexperienced swimmers wear U.S. Coast Guard-approved life jackets – but do not rely on life jackets alone. Avoid air-filled or foam toys – Do not use air-filled swimming aids (such as “water wings”) , “noodles” or inner-tubes, instead of life jackets or life preservers with children. These toys are not designed to be personal-flotation devices. A well-tuned engine will use fuel more efficiently and reduce consumption while discharging fewer pollutants into the waterway. Use of premium two-cycle, “N.M.M.A. – Certified” oil is recommended as it helps prevent carbon deposit formation and burns ash-free. Premium oils also tend to contain more detergents and burn more cleanly. Clean burning is especially important for an engine that runs only intermittently. The alcohol content of unleaded fuels has a tendency to deteriorate older fuel line hoses, sometimes in a matter of months. For this reason hoses should be checked periodically throughout the season for signs of deterioration, i.e., dry and cracked or soft and mushy spots, and replaced with Coast Guard approved alcohol-resistant fuel lines. Keep your use of engine cleaners to a minimum. Their chemical ingredients are often highly toxic. Steam cleaning, if available, may be a better alternative. When changing your oil, wipe up spills immediately and be careful to catch all old oil in a container for onshore recycling. Most marinas on Saratoga Lake have oil-recycling drums and will accept your used oil without charge. Consider placing a bilge “pillow” (an oil-absorbing sponge available at most marinas) in your bilge to remove oil from your bilge water. That way the oil will not be pumped overboard by your bilge pump. 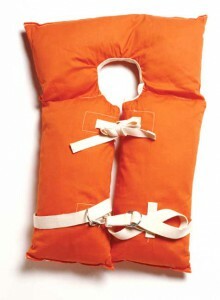 One pillow is generally effective for the entire boating season and can be disposed of properly onshore. Be wary of bilge cleaners, which merely disperse the oil in the bilge water. Drain old antifreeze into a container for onshore disposal. Where possible, use less toxic propylene glycol mixtures rather than ethylene glycol antifreeze. Handle all gasoline and petroleum products with extreme care – avoid overfilling. Ask the attendant to wipe up spills prior to flushing with water. Keep your boat and motor in good repair. Causes severe headache, dizziness, confusion, nausea and fainting. CO levels from boat exhaust can reach critical levels in a short time and can affect passengers in boats, whether they are at speed, anchored or idling. When concentrations of CO are high enough, unconsciousness may be the firstsign of CO poisoning; this can occur without any other or preceding symptom. Sources of CO poisoning include inadequately ventilated canvas enclosures, exhaust gas trapped in enclosed places, blocked exhaust outlets, and other vessels. CO cannot be seen, smelled or tasted. Boat passengers should stay away from engine and generator exhaust outlets. Do not sit, surf or hang on the back deck or swim platform while the engines are running. Avoid areas under swim platform or anywhere exhaust outlets are located. Do not ignore the CO boat alarms. Keep a safe distance from dams, as water levels can change rapidly near them. Sirens may be activated a very short time before the flow of water is increased by a dam. Never anchor a boat below a dam, and be sure to leave the vessel’s engine on when passing by a dam. If a person goes under water, many times the water is dark and you won’t be able to see them. Supervise children when in or around water – even if lifeguards are present. Designate a responsible adult to watch young children swimming or playing in or around water. Supervisors of preschool children should provide “touch supervision” – be within arm’s reach to reach the child at all times. Because drowning occurs quickly and quietly, adults should not be involved in any distracting activity. Teach children basic water safety tips and to always ask permission to go near water. If a child is missing, look for him or her in the water first. Look for lifeguards – it is always best to swim in an area supervised by lifeguards, but lifeguards are the last line of defense when all other layers of protection fail. Formal swimming lessons can protect young children from drowning. However, even when children have had formal swimming lessons, constant, careful supervision when children are in the water is required. Do not allow swimmers to hyperventilate before swimming under water or try to hold their breath for long periods of time. This can cause them to pass out and drown. Handle capsizing: Always stay with your boat, which will float even if it’s full of water. Don’t take chances by overestimating your swimming skills. Never swim alone or in unsupervised places. Select swimming sites that have lifeguards when possible. Water levels and flows often shift rapidly without warning. Calm waters can suddenly move rapidly and become dangerous. Still shallow-seeming waters may run deep. The currents in lakes may be more powerful and unexpected than anticipated – swift or powerful currents. Lakes can be deceiving because the shore may be farther away than you realize and you could lose strength if you think you can swim to shore. In a lake you can’t see the bottom – you could get caught in brush or debris. There could be sudden drop-offs that instantly put you in deep water. To prevent choking, never chew gum or eat while swimming, diving or playing in water. Don’t get too tired, too cold, too far from safety, exposed to too much sun or experience too much strenuous activity. Make sure you follow the lake speed limits. All speed limits are actively enforced. Navigation Law limits the speed on Saratoga Lake to 45 MPH during the day and 25 MPH at night. The law further limits speed to 5 MPH (NO WAKE) within 200 feet of shore, the end of a pier or dock, and other vessels. Speed in the channel near the Route 9P bridge is limited to 5 MPH (NO WAKE) for 1,200 feet on either side of the bridge as delineated by the channel buoys, and is strictly enforced. In that the channel between Staffords Bridge and the dam is less than 400 feet wide, speed is limited to 5 MPH (NO WAKE). This situation also exists in other parts of Fish Creek. If you are within 200 feet of a shore, speed is limited. Boating densities and conditions vary greatly on Saratoga Lake, so please decrease your speed accordingly. Impacts from wakes can cause a boat passenger to be thrown into the air and land forcefully back onto the boat. It is wise to slow down whenever passing another boat. Boats that exceed the 75-decibel noise limit (SAEJ 1970) are not welcome on Saratoga Lake – the District will make official complaints to law enforcement agencies. Stirring bottom sediments in shallow areas re-circulates chemical compounds, making more minerals available to spur weed growth. Please operate at idle speed only when in water depths less than 4 feet. Maintain at least a 200-foot separation from other craft or objects. This is part of the Navigation Law. Do not monopolize any particular area of the lake for extended periods. Please do not chase the waterfowl. Hunters are reminded that it is illegal to discharge a weapon within 500 feet of an occupied dwelling (Section 1109.31). This applies to fishing with bow and arrow as well as the discharge of shotguns or rifles. Must have the owner’s full name and address permanently affixed in characters at least 3 inches tall in a contrasting color to the surrounding structure. Must be removed from the lake by March 15th. Owners are subject to fines under NYS Navigation Law for failure to affix identification, or to remove shanties or blinds from the water by the prescribed date. Like lawn fertilizers and manure, human waste contains minerals that contribute to algal blooms and oxygen depletion. Human waste also contains disease-carrying bacteria, which can transmit diseases to swimmers. Saratoga Lake is serviced with pumpout facilities for larger boats equipped with marine sanitation devices. This service is available at Point Breeze Marina for a nominal fee. Please refrain from discharging them into Saratoga Lake. Additionally, “Port-O-John” chemical toilets are available at the State Boat Launch for your convenience. Please make every effort to secure trash, bottles, styrofoam bait containers and paper products onboard your vessel; even with proper precautions, items may still be blown overboard. If something accidentally blows overboard, go back and pick it up. Use it as man overboard practice! Please help keep Saratoga Lake clean by retrieving any floating trash items observed. Take all garbage home with you including beverage containers and “biodegradable” food waste. When guests come aboard your boat, let them know of your commitment to clean water and that you have a boat policy not to throw trash overboard. Adopted June 4, 2014 by New York State Environmental Conservation Law: Parts 59, Section 59.4 – State Boat-Launching Sites, Fishing-Access Sites and Fishing Rights Areas, and Part 190, Section 190.24 – Boat Launching Sites and Other Sites From Which A Watercraft May Be Launched. (1) No person shall launch, or attempt to launch a watercraft from a state boat launching site, a fishing access site, or any other site from which a watercraft may be launched, or leave from these sites with any plant or animal, or parts thereof, visible to the human eye, in, on, or attached to any part of the watercraft, including livewells and bilges, the motor, rudder, anchor or other appurtenants; any equipment or gear; or the trailer or any other device used to transport or launch a watercraft that may come into contact with the water, unless a written permit is obtained from the department. (2) No person shall launch, or attempt to launch a watercraft from a state boat launching site, a fishing access site, or any other site from which a watercraft may be launched, or leave from these sites without draining the watercraft, including bilge areas, livewells, bait wells and ballast tanks, unless a written permit is obtained from the department. There is little doubt that keeping your boat’s hull clean and free of growth is important. Better boat speed and lower fuel costs are two major advantages of doing so. There are other considerations however. Anti-fouling paints work by releasing toxic chemicals from the hull into the surrounding water. In general the more effective the paint, the more toxic its ingredients. Copper-based paints, used for decades, have proven adequate to keep a hull clean for a year or more, and they contain fewer toxic metallic compounds. Newer, more toxic, organotin anti-fouling paints were restricted by national legislation in 1988. Organotin paints include the familiar tributyltin (TBT)-based anti-fouling paints. Federal law now prohibits the use of any TBT paints on boats under 25 meters long. Please consult your marine painting professional to determine the most environmentally friendly alternative. Aquatic invasive species can be spread from waterbody to waterbody unless boats, trailers, waders and other fishing and boating equipment are properly cleaned, dried or disinfected after each use. CLEAN and remove all visible plants, animals, fish and mud from your boat, trailer and other equipment and dispose of it in a suitable trash container on dry land. DRAIN water from bilge, live wells, ballast tanks and any other locations with water before leaving the launch. Disinfect when possible. DRY your boat, trailer and all equipment completely. At least 5 days of drying time is recommended. Drying times vary depending on weather and material.